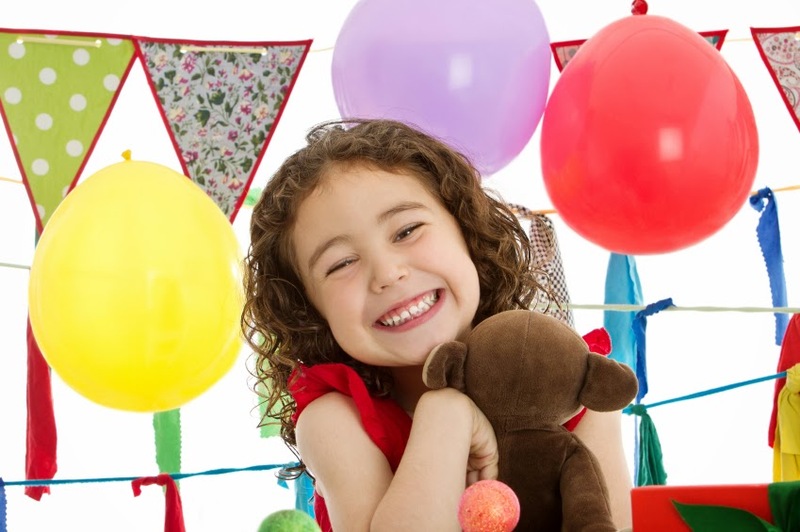 Most kids love stuffed animals and a fun party theme is a pet party that has the guests bringing or receiving their very own stuffed animal pets. Welcome your guests to your party by using sidewalk chalk to make a path of paw prints leading up your front walk. As your guests arrive you can transform them into kitty cats, puppy dogs or mice with face paint and headbands with ears. If you are giving your guests stuffed animal pets, have the pets on display for each guest to pick and “adopt” complete with adoption certificates where they can fill in their name and description of their pet. If you are worried about children fighting over pets you can package each pet up in a gift and play a pass the parcel game or a musical chairs style game where you place individually wrapped pets in the middle of a circle. Place paw prints on the floor with numbers on them (face down) that correspond with numbers on the packages. Have the children walk around the circle while you play music. When the music stops the children each stop on a paw print. They pick up the paw print and see what number it has on it and then find the matching package, open it and then “adopt” the pet inside. Once everyone has their pets you can put on a pet show having the children show off their pets one by one. Award prizes to each pet (before hand you can have the ribbons made up with things like quietest pet, happiest pet, most loyal pet, most spotted pet, most jumpy pet, biggest pet, smallest pet, furriest pet, most well behaved pet, etc. I would advise avoiding awards that might make others feel bad like “cutest” or “best”). A fun craft at a pet party is to make pet collars. Buy some stretchy cord and a variety of beads, and let your guests design away. Think about buying one larger charm for each guest to represent the collar charm. You can also add bells or other trinkets. These can be made for cats, dogs, people, or stuffed animals. Hunt the Mice, Cheese or Bones — Hide a number of small plastic or paper mice, fake cheese (yellow paper cut into triangles) or doggie biscuits (real or paper cut like bones) around your party area and have your party guests act like kittens, mice or puppies to find and collect them. Pass the Bone — This is like Hot Potato. Have the children sit in a circle and give one child a dog bone. Turn on some music and have the group pass the bone around the circle. When the music stops, whoever is left holding the bone is out. Play until there is one child left. If you choose to play again, the last game’s winner can be in charge of the music (facing away from the group, of course). If you are ambitious, you can play dog themed music for this game, such as “Who Let The Dogs Out” or “He’s a Tramp” from Lady and the Tramp. There are lots of doggie songs out there if you do a music search. Unroll the Yarn Ball — Before the party, wind an assortment of small toys or party favors into a big ball of yarn. Have your guests sit in a circle. Play some music (you might consider the Aristocats Soundtrack or The Stray Cat Strut), and as the music plays, have the children pass the yarn ball around the circle. When the music stops, let the child who is holding the yarn unwind it until she uncovers a prize. Cut the unwound string off and continue to pass the ball to the music until everyone has had a chance to find a prize. Hungry Pet Relay — Place a row of clean pet bowls (one per child) full of cereal (kitten or puppy chow) on the floor or on chairs at one end of the room. Line up all of your hungry kitties and have them see who can race down, eat all the food from their bowl (no hands) and race back to the starting line in the quickest time. Cat/Dog/Mouse Tail Tag — Give each child a “tail” made from a sock, a piece of fabric, or a long strip of construction paper. Have them stick these into the back of the waistband of their pants to look like a tail. The goal of this game is to grab the other players’ tails without losing your own. The last animal with a tail is the winner. Pin the Tail on the Cat/Dog/Mouse — Draw or copy a picture of a cat, dog or mouse without the tail, blindfold the guests and have them pin the tail on the pet. Name The Pet — Gather pictures of some well-known animals such as The Cat in the Hat, Sylvester, Garfield, Tom and Jerry, The Cheshire Cat, The Aristocats, Snoopy, Scooby Doo, 101 Dalmations, Bolt, Lady and the Tramp, The Great Mouse Detective, Fievel (the mouse), Mickey Mouse, Minnie Mouse, and any others you can think of. See how many of the animals your guests can name or have 2 of each animal and play a matching game. Cat, Cat, Dog — Play a pet version of duck, duck, goose. You can also make a giant, kid sized mouse or hamster maze out of refrigerator boxes, duct tape and glow sticks (so it isn’t too dark). You could also cut holes in the sides to let in light and allow the children to peak out to see where they are. Time the kids as they go through the maze, race a few at a time, or just let them play around in the boxes like little rodents for a while. Finally, you could make a yarn ball pull string pinata by wrapping a disco ball pull string pinata (or other round pull string pinata) with yarn. The kids will enjoy jumping up and pulling on the strings hoping to get the one that opens the pinata.